This entry was posted in Austerity in UK, Conservative Vampire Squids, Conservatives, Defend NHS, Derby People's Asembly, Derby Trades Council, LibDems Quislings, People's Assembly: Our Aims, Save the NHS, Solidarity, The People's Assembly Derby, X Conservative Party Paymasters and tagged Conservative Party Paymasters, Conservative Party Vampire Squids, Derby People's Assembly, Derby People’s Assembly against Austerity, DERBYSHIRE, Fight Austerity, Fight the Cuts, Fire Brigades Union, NHS SOS. We, the newly formed Artists’ Assembly Against Austerity, are calling on writers, musicians, performers – anyone involved in the creative arts – to mobilise against cuts in public and voluntary services introduced by the coalition government. 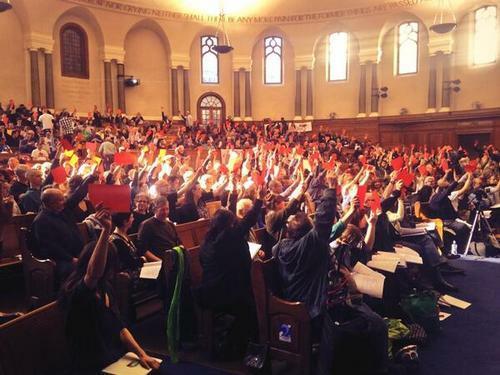 The People’s Assembly Against Austerity was formed in 2013 to ensure that the coalition government faces a movement of opposition broad enough and powerful enough to generate successful coordinated action against its violent programme of cuts. 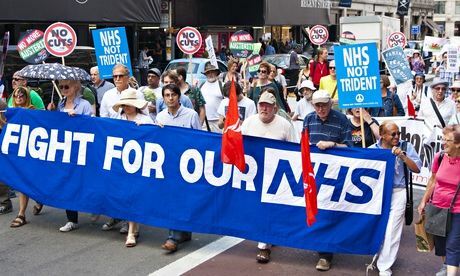 In June, 50,000 people marched through London to show their support for this growing movement. We now recognise a need to initiate an Artists’ Assembly Against Austerity to organise artists across all media, writers, musicians, performers, broadcasters, technicians, administrators, audiences and allies under our shared aim to end the cuts and protect public services. As we see it, artists have as much to lose as many other groups as a result of a dwindling public sector; the Artists’ Assembly will provide a space in which we can mobilise to effect real change. Our demands centre on four key issues: keep healthcare free at the point of need and resist privatisation; ensure equal access to arts education by scrapping student fees and ending cuts to creative subjects in schools and universities; provide affordable homes and studios by capping rents; and invest in the arts, which generate a significant cash benefit to the taxpayer. This means no more cuts to the cultural and heritage sectors and reinstatement of arts funding to pre-2010 levels, appropriately adjusted for inflation. To register your support and to help build the movement, please sign the petition at artistsassembly.wix.com/artistsassembly. This entry was posted in Austerity in UK, Conservative LibDems demolition of welfare, Conservative Party, Conservative Party Paymasters, Conservative Vampire Squids, Conservatives, Fight the Cuts, Inequality, LibDems Quislings, People's Assembly: Our Aims, Peoples March for the NHS, Solidarity, The People's Assembly Derby, X Conservative Party Paymasters and tagged Austerity Fight The Cuts, Derby, Derby People's Assembly, Derby People’s Assembly against Austerity, DERBYSHIRE, Solidarity, the Peoples Assembly. What each of these aims means is set out in more detail at www.thepeoplesassembly.org.uk/aims. This entry was posted in Austerity in UK, People's Assembly: Our Aims, Solidarity, The People's Assembly Derby and tagged aims, Austerity Fight The Cuts, Derby, Derby People's Assembly, Derby People’s Assembly against Austerity, DERBYSHIRE, Fight Austerity, national conference, Our Aims, Solidarity.